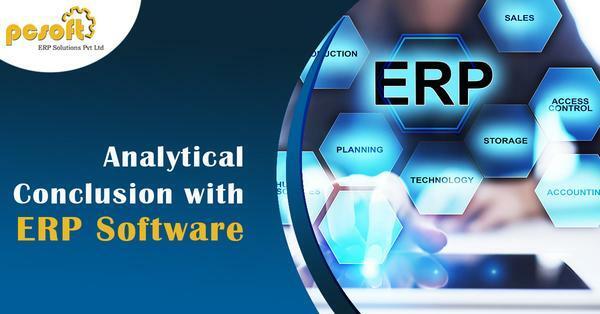 Analytical conclusion with ERP Software | PCSOFT ERP SOLUTIONS PVT. LTD.
Analytics! The word is enough to spin our mind with a number of questions, which goes like this, What it actually means? What are its benefits? How does it work? Phew, it is a lot of information to understand. But to make it an easy topic and explain it in a simple way we have come today with some of the very interesting topics concerning Analytics in ERP. A lot of ERP software providers in India are striving to answer these questions with an effective answer. We accept that analytics is indeed a scary and complex topic, but it is also true that once you get to know how it works, you will be able to understand it within the snap of fingers. Since we live in this age of information technology, the use of analytics has been growing to be easier day by day since the EPR vendors are simplifying the tools for the average users. 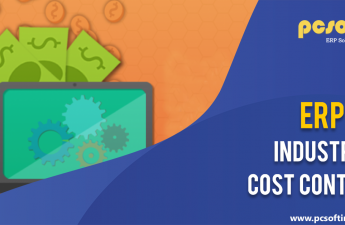 Today, you will find a lot of ERP software providers in India that will efficiently fulfill your analytical needs. Speaking about the analytics there is only one thing I want to say and that is the benefits it offers are legion. It gives you an opportunity to have a tighter control over your business, maximizes the profitability and makes the process of analysis simple. What else could a business owner want? There are about 66% of the supply chain leaders who believe that analytics is crucial for the supply chain operations in the coming years. 94% of the leaders say that digital transformation is definitely going to change the supply chains in 2018. And we bet the percentages are going to rise and not the other way in the time to come. Sources say that there are about 0.5% of the data in our organization that we actually analyze or use. Shocking! Mere 10% increase in the data accessibility will result in the addition of about $65 million in the net worth of any typical fortune 1000 company. Until we reach the year 2020 we will be having around 50 billion smart devices across the world who will be analyzing the data. And we can talk for a while about it. 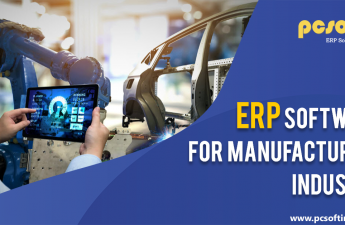 There are a lot of ERP software providers in India, working to make analytics part of every organization to help them improve. But let us take you to the most awaited category of the blog, ‘The benefits of analytics’, let’s take you there now. Analytics help you implement an effective way of internal reporting. It opens the ways for information to flow across the organization in the smoothest possible way. This is again made unique with the help of automated reporting techniques that emails the reports to the specific stakeholders on a regular basis. A lot of ERP software providers in India implement these techniques by default. In this ultra-competitive business world, in order to be productive, your organization must be flexible enough to inherit the trends and opportunities the technology offers us. Analytics help you do this in a hassle-free way. Analytics increase the accuracy of any organization including the planning on management level, forecasting and the decision making of the employees. 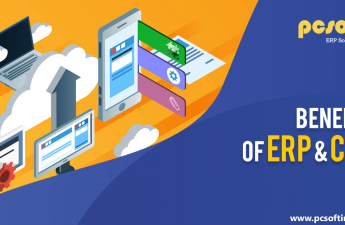 In order to enjoy these benefits of analytics all, you need to do is find the best ERP software providers in India and implement the latest analytical tools. PC Soft excels in offering the best ERP solutions for all the businesses. If you are looking for the best ERP software providers in India, we might help you with the best of the things you need. Feel free to call us for the further details.